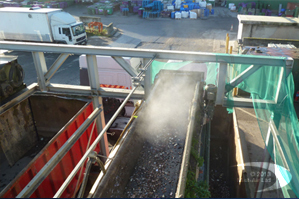 ensuring an odour free environment. mist-air systems are incredibly flexible and can also be designed for bespoke projects. 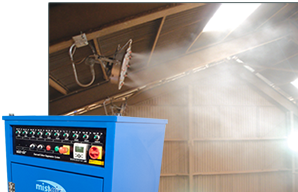 Herewe see fog generators over a hopper. 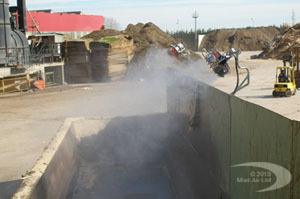 mist-air protects the immediate area long this conveyor, otherwise odour from this height would be carried quickly by the wind. 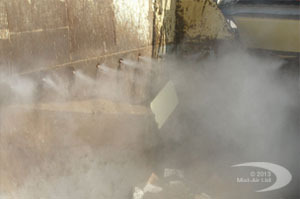 Mist is injected directly into a bunker to prevent any smell escaping.